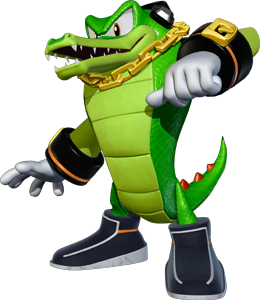 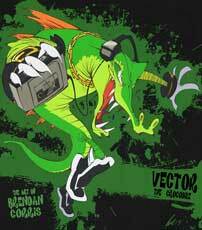 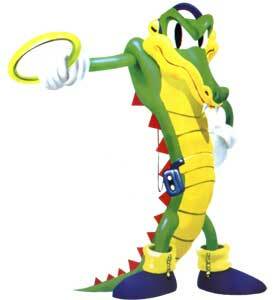 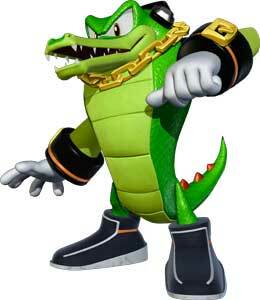 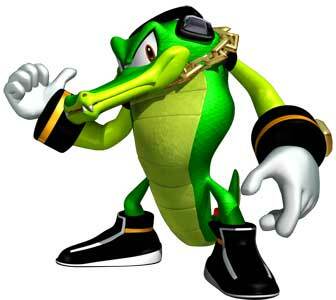 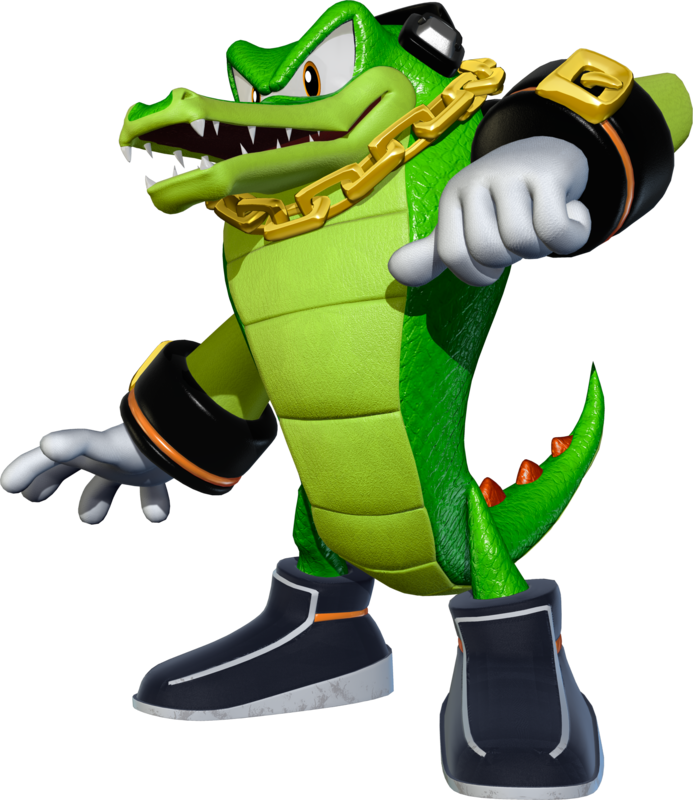 Vector the Crocodile is a playable character from the Sonic the Hedgehog series. 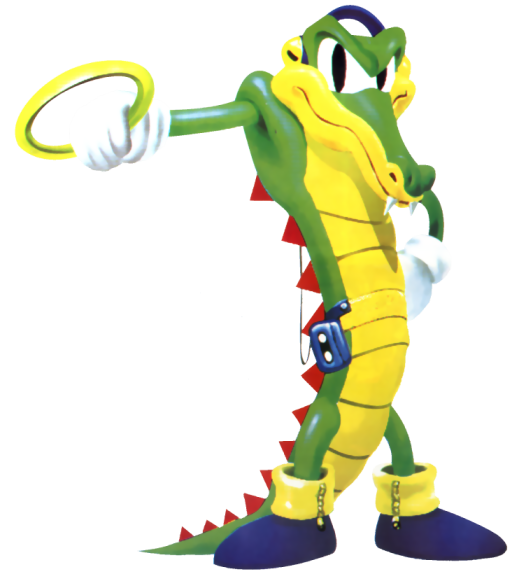 He was planned to be a part of the sound test in the original Sonic The Hedgehog but the idea was scrapped and Vector made his debut after a visual redesign and in a playable form in Knuckle’s Chaotix (1995) on the Sega Mega Drive 32X. 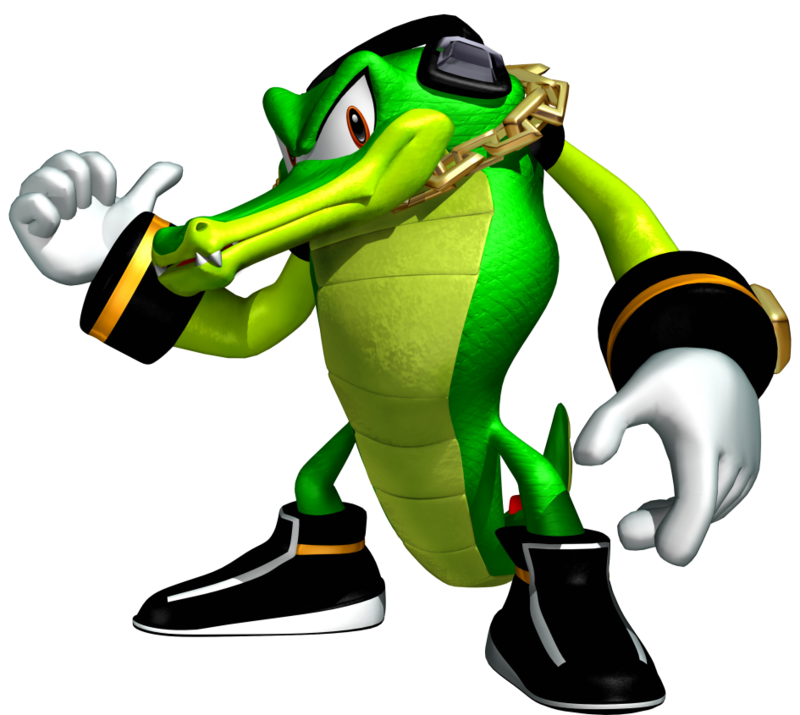 Vector returned as part of the team Chaotix in Sonic Heroes (2003), Shadow the Hedgehog (2006) and became also a playable character in the Mario and Sonic Olympic Games Series.